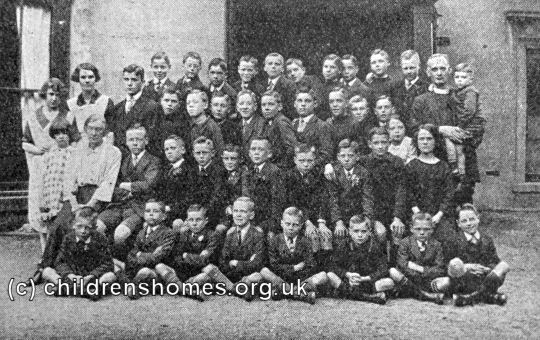 St Hugh's Home for Boys was established by the Waifs and Strays Society in 1896 at Newport House, 23 Newport, Lincoln. Its inauguration had been made possible by four years of local fund-raising, boosted by a donation of £500 by two ladies who wished to remain anonymous. 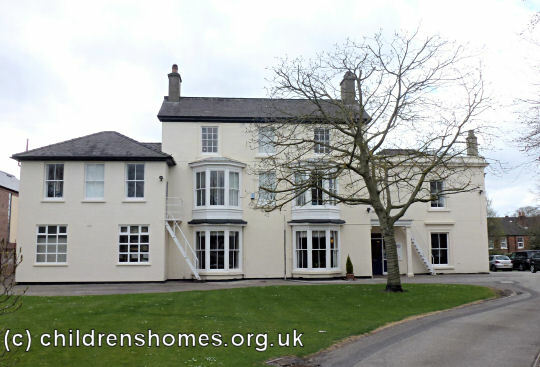 The home was officially opened on September 12th 1896 by the Bishop of Lincoln. 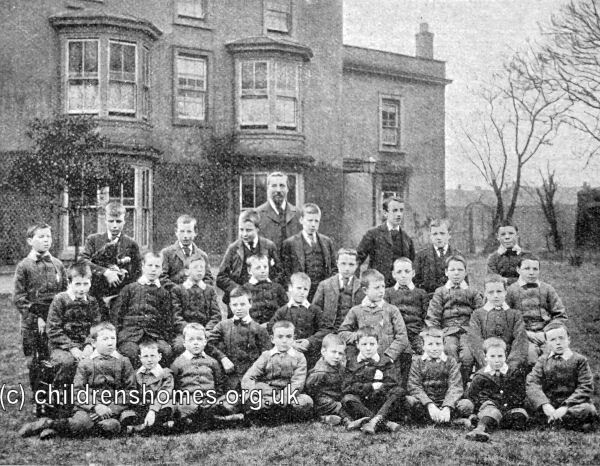 Accommodation was provided for 36 boys aged from 7 to 12, with four extra beds provided in case of sickness. Thirty-six of the beds had been presented by different county families, each bed bearing the crest of its donor. 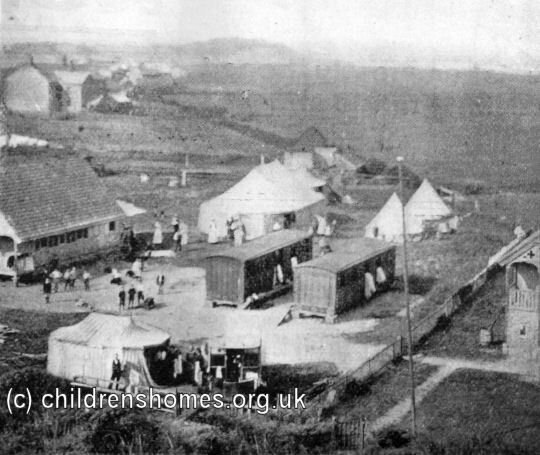 In 1899, a play-room, toilet and covered playground were added to the facilities at a cost of £500. The daily routine began with the ringing of a wake-up bell at 6a.m. In the dormitories, each of which had 5 or 6 beds, the boys then dressed under the eye of their appointed boy 'officer'. After private prayers, two boys stripped the beds, folded up bed-clothes, turned mattresses and opened windows to air the room for a while. Boots were then cleaned and washing took place in the washroom below. In the coldest weather warm water was allowed, but at all other times cold. Teeth were next cleaned. Work followed, with Dormitory boys making up the beds, and sweeping and dusting their rooms. 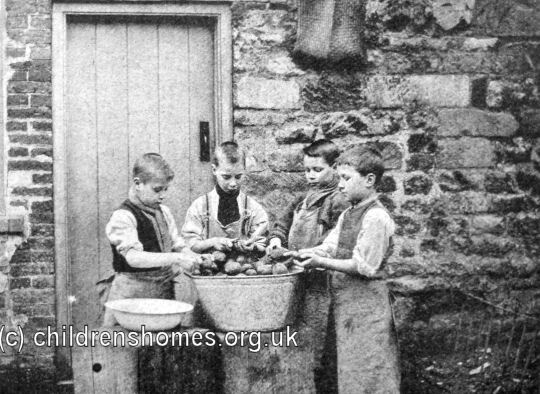 Others did the same in dining, prayer and committee rooms, while the kitchen found work for more boys. At 7a.m. the master, accompanied by two boys, woke up the little ones, some of whom needed help dressing. When dressed, all knelt to say aloud the Lord's Prayer, the Collect for Grace, and the Grace of the Lord. Two older boys then oversaw the washing and toothbrushing of the little ones. After completing their work, each boy went to the prayer room to read his daily portion of scripture. At 7.45, breakfast consisted of cocoa and bread and dripping. The meal lasted about twenty minutes, the master and matron taking theirs at a side table. After grace was said, their were communal prayers. More work followed — washing-up, scrubbing, etc. At 8.50 the bell rang for school. 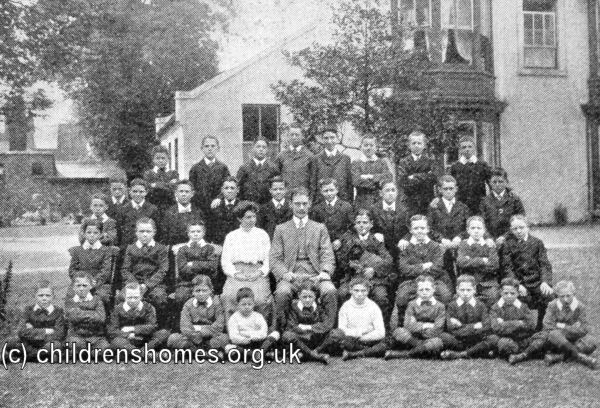 Boys at the home attended the ordinary National Schools in Lincoln, marching there in line. On Mondays, two boys assisted the laundress all day with the weekly wash. The officers dined at 11.45, just before the boys came back and played until their dinner at 12.45. A typical meal consisted of cold beef, potatoes, boiled rice with jam or treacle, and bread. The boys then returned to school, followed by more play back at the home from 4.30. 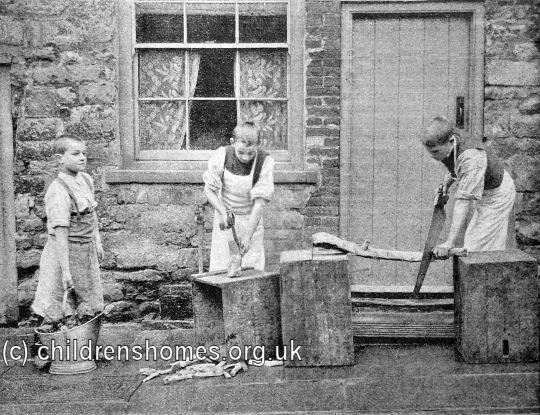 Some boys kept their own small garden plots or helped keep the lawns neat. 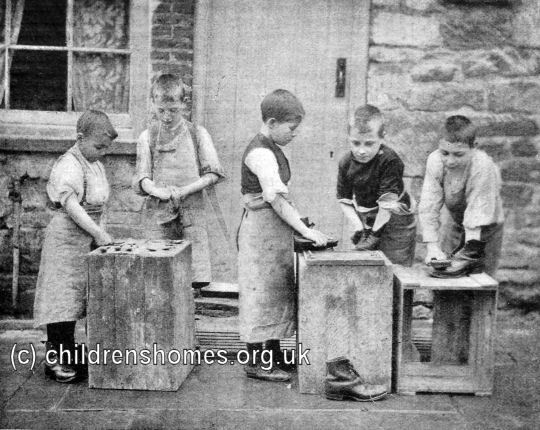 Four of five boys took turns each week in washing their socks. In summer, an hour's cricket or a bath at the @waves@ brought the day to end, with prayers at 7.30 and "good night" to the master. By the early 1900s, camping expeditions were organised in the summer holiday. By the early 1960s, the home had become a working-boys' hostel. It finally closed in 1972. The property is now used as office accommodation.